John Jacobson's short script based on the poetry of Walt Whitman connects these favorite songs in this 20-minute celebration perfect for the entire school. With six arrangements by some of the top choral arrangers, everything you need is under one cover! 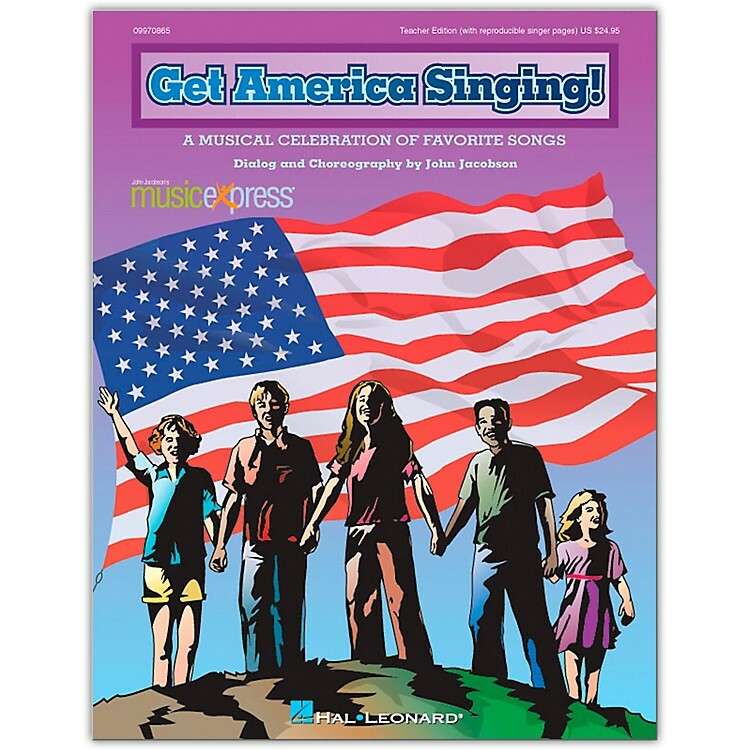 The Teacher's Edition features accompanied vocal arrangements, choreography, and reproducible singer sheets. For dollar-stretching value, receive the Teacher Edition and Performance/Accompaniment CD in the handy Classroom Kit. Songs include: The Star Spangled Banner (arr. Hogan), Down by the Riverside (arr. Dilworth), Triple Play/Take Me Out to the Ballgame (Jacobson/Higgins), Simple Gifts (arr. Snyder), My Bonnie Lies Over the Ocean (arr. Jacobson/Shaw) and Get America Singing (Jacobson/Emerson). Performance Time: approx. 20 minutes. For Grades 3-6.